People love to say things along the lines of "You can't be successful if you aren't willing to take some risks along the way." Few of them put the statement into practice, however. It sounds like a great idea to most people, but they don't feel like attempting it very often. For those who are up to taking calculated risks, though, the rewards can be great. Entrepreneurs offer some of the best examples of risk-taking that resulted in fabulous success stories. Their victories are usually achieved only after significant rounds of trial and error, however, which can involve having to put everything on the line. Any successful entrepreneur could likely describe a time when he or she took a huge risk, but Larry Ellison and Sam Yagan provide some of the best examples for this purpose. When most people think of Ellison, they recall his successes with Oracle Corporation and involvement with other giant enterprises such as Apple, Salesforce.com, and NetSuite. But a more recent gamble of Ellison's truly got people excited. As a longtime sailing fan, Ellison used Oracle to fund the United States squad for the 2013 America's Cup series in San Francisco. He spent an estimated $100 million but appeared to have come up a major loser when the team found itself down 8 to 1 in a best-of-17 race competition. But Ellison had the last laugh when his squad roared back to win the final nine races. While the name Sam Yagan may not be as familiar, his successful ventures certainly are. Although he received a job offer right out of college, Yagan turned it down to start his own Internet firm, Sparknotes.com. This was a risky move during a time when online business activity was still relatively new. According to Yagan, " [I] didn't know what I was doing." The willingness to venture outside his comfort zone, however, ended up paying off. It's pretty difficult to find a CEO who hasn't taken a major risk at some point in time. This is especially true when you look at modern technology and the fight for supremacy between Microsoft and Apple. Both Bill Gates and Steve Jobs took massive risks to get their respective companies to where they are today. Gates dropped out of college to start Microsoft, declared his bold vision of placing a personal computer in every home, and competed against Steve Jobs, one of the great business geniuses of our time. There were certainly times where things didn't go according to plan, but Gates ended up cultivating a billion-dollar tech corporation. At the time, Jobs's greatest risk could have put the future of his company in jeopardy. In hindsight, everyone can see why the Apple iPhone would become a great success, but there was a huge problem in the beginning. Knowing full well the development of the iPhone would cannibalize the company's leading product (the iPod), Jobs launched the first smartphone anyway, in an attempt to gain control of the large mobile market. The move worked, and subsequent developments ended up being quite lucrative both for Jobs and his firm. While some Hollywood stars may seem undeserving, it takes a lot of hard work to get where they are. Just ask producer Ted Sarandos and actress Candace Cameron about some of the challenges they faced. 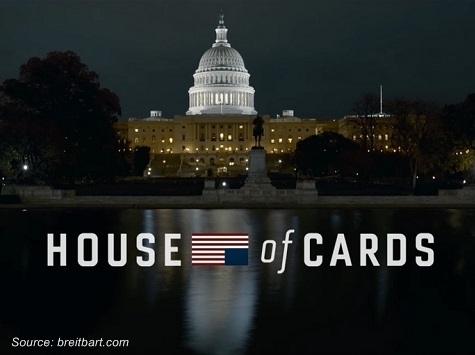 While you may not recognize the name Sarandos, you may be familiar with his creation, House of Cards. The show itself might not have appeared to pose any great risk, because Sarandos lined up an all-star crew and had a well-developed and rich plot line inspired by a hit British series of the same name. The true risk lay in the channel through which he released the new show. Netflix launched House of Cards in February 2013, and all the episodes in the first season were released at once - as opposed to one episode per week the way a standard television program handles it. Many critics issued warnings, believing that the show would lose interest after a few weeks, but the opposite occurred. Fans binge-watched the show and couldn't stop talking about it. For viewers of the 1990s hit sitcom Full House, Candace Cameron is better known as DJ Tanner. Now 33, she says, "My biggest risk was stepping away from the entertainment industry at such a young age." She got married at twenty, and moved north to Canada to raise a family. With a successful career on line when she left, it was a big gamble to hope she'd be able to return. Thanks to ABC's Make It or Break It show, however, she returned to work in the industry in 2009. "When you hear about risks that people took to become successful, you can see that risks come in all shapes and sizes," says Igor Salindrija, CEO of AskGamblers.com, and a business owner who knows a thing or two about taking risks. "Whether it's launching a new product or leaving a successful career to raise a family, any risk can be scary. When you calculate the risk in front of you and play out the game correctly, though, the rewards can be substantial."